Holiday In a Hand Pie! Pie and dogs make me happy. The connection? The other night I told a friend I don’t think I could date anyone who doesn’t like dogs. Especially since my dog is particularly awesome. 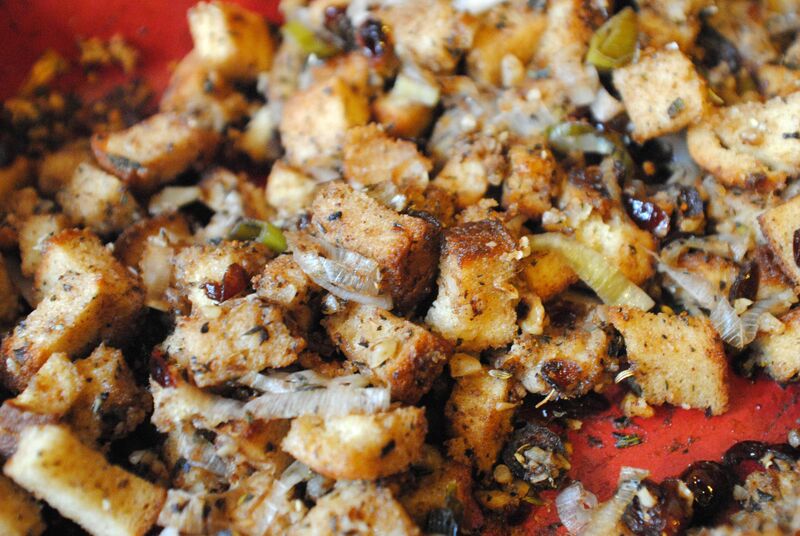 And as I sit here eating leftover turkey and stuffing from this recipe, I’ve decided the same goes with pie. You don’t like pie, no date with this little dusty baker. Also, if you’re a vegetarian I just don’t see how it could work out between us. This weekend was pretty incredible, and I’ve got the tired eyes, slight headache and absence of writing wit to show for it. Saturday I participated in the Great American Pie-Off, a fundraising event for the New York Theatre Experiment‘s Lift Every Voice program, which brings artists together with NYC Teens to build nurturing creative environments and foster self-expression. In one of those glorious friend-of-a-friend things I heard about the event a few weeks ago and was asked to participate. Baking for a good cause?!?! Um, sign me up, lady! Now pie is pretty much my favorite dessert. I make it yearly for my gluten-free birthday indulgence (this year was Blueberry Fig), when I’m particularly blue (My Broken Heart in a Pie was quite messy) and when I just need to throw a bunch of good things in a pastry (Bourbon Molasses Apple Pie with Candied Bacon pretty much rocked my world). For this event I wanted to do something savory, and keep it in line with the way I prefer to bake: gluten-free, minimal (if any) dairy and naturally sweetened. 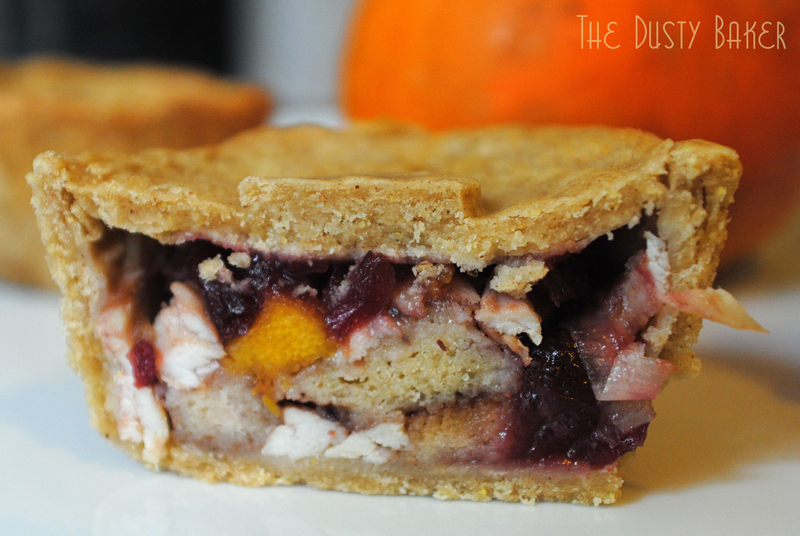 And as the weather began to change and I started daydreaming about holiday baking, Thanksgiving dinner came to mind. Particularly the awesome sandwich made the day after, where turkey, stuffing, cranberry sauce and baked pumpkin gets layered between bread. Could I get them all into a pie? I’d give it the old college try and see what happened. Oh, and I decided to make hand pies instead of one big one. Why? I have no clue. But once I got the idea into my head I couldn’t shake it, so creating a flavorful and durable crust was a must. After a few Goldilocksian crust creations (one was too buttery and flakey, perfect for a sweet pie but neither savory nor strong; the other had too high a content of cornmeal and so fell apart) and some different wrapping techniques (true empanada hand pie style or shaped in oversized muffin tins?! ), I had my pie. And, yes, Goldilocksian is a word. Now. Setting up my little "tastes"
It wasn’t until setting up my little gluten-free pasties that I questioned my choice: all around me were incredibly sweet, luscious looking pies of varying deliciousness. To one side was a pumpkin pie with bacon and candied pecans. To the other was a chipotle pecan pie with homemade ice cream. I don’t have a competitive bone in my body. Friends often send me casting notices for food reality shows and my manager is looking into food hosting for me. And while I obviously geek out about food with anyone who will listen, I would generally WANT someone else to win if I felt their creations beat the frosting outta mine. And, well, I’m a dusty baker. Messy. Often swapping ingredients or proportions if I’ve just happened to run out of something. Alton Brown I am not. 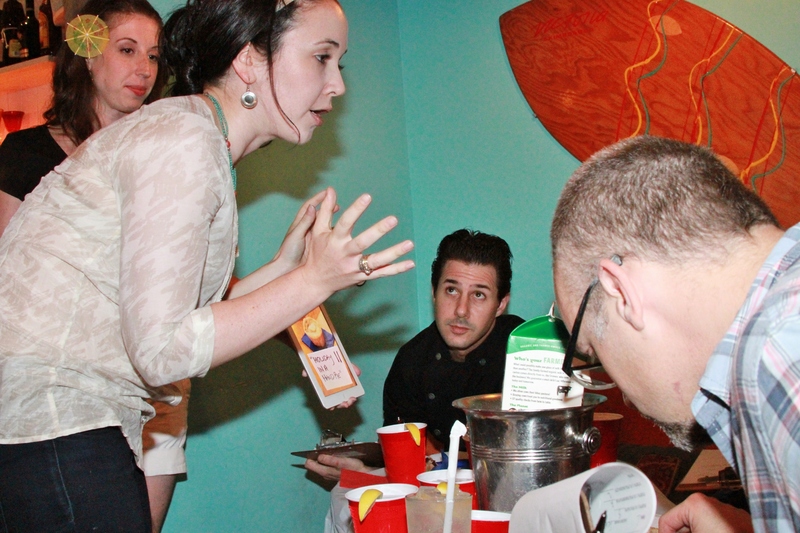 Food reality competition show thingy – not gonna happen. My skills aren’t that badass. 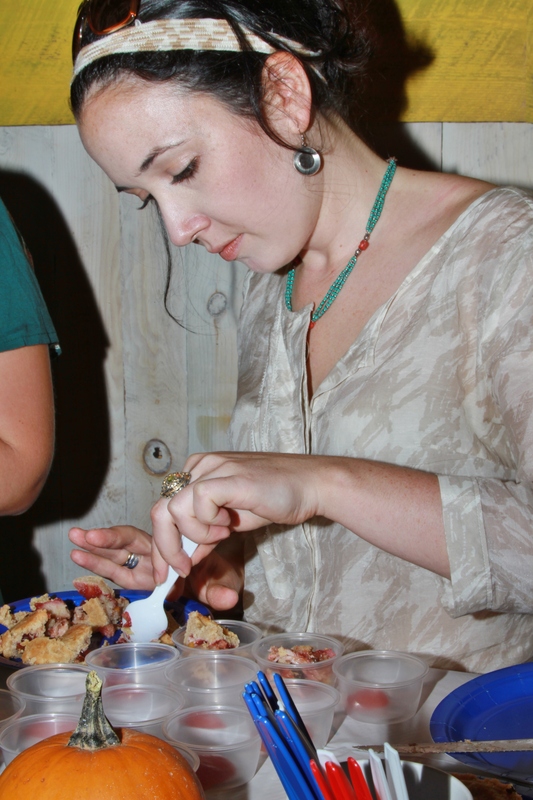 But as the tiny space filled I relaxed into what I love and the reason I was there: delicious things baked for a cause. While I took in the pies around me (that obviously I couldn’t taste), I appreciated more and more the only one I could. 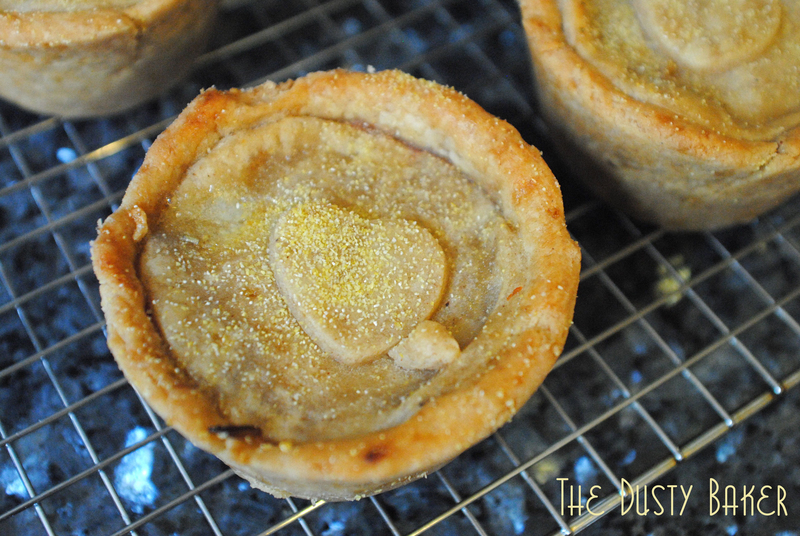 And as I started to describe it to tasters, I fell back in love with my little pies. The gluten-free crust was made with a combination of quinoa, millet and brown rice flours and arrowroot starch with a little palm sugar, Vietnamese cinnamon and nutmeg. I had decided to use Earth Balance instead of butter because I found during my empanada days that it helps bind the savory crust together best while still giving a butter flavor that a good shortening lacks. I used no white sugar to sweeten any aspect, choosing maple syrup and honey for their delicious darker flavors. Now, these are meant to eat hot, with your hands. I had to serve the room temperature in little bites. So a lot of my worry was making sure that everyone got every aspect of the pie and not too much crust (handpies were created so that you had the thick part of the crust literally as a handle, which you threw away once you ate all the filling). A few of the pies had been baked the day before and suffered some stiffening from being in the fridge. Perfect, they were not. Being a novice to the whole competition thing I was unaware that we actually had to present our pies to the judges. Johnny Iuzzini (Top Chef: Just Desserts judge and Executive Pastry Chef at Jean-Georges), Douglas Quint and Bryan Petroff (owners of NYC favorite Big Gay Ice Cream Truck) and Jordana Rothman (editor of Time Out NY’s Food and Drinks and overall awesome food writer) obviously know their way around a recipe. I didn’t expect to enjoy discussing it so much. As I talked I realized I actually knew what I was talking about. In deciding to start this blog almost a year ago and take a few months off from auditioning to start transitioning into food more directly, I’ve had to look more specifically at my ingredients and figure out how best to share them. When baking for charitable organizations I’ve had to keep costs in mind and how long it takes me to make certain things (400 pipes cookies for the Susan G. Komen / Frosting for the Cause became a series of various cookies, with less hand cramping). The other day the guys at the office I was squatting in said they’d actually pay for my Morning Jolt Cookies: the same guys that raised their eyebrows when hearing that they were gluten and dairy free. 18 years of eating alternatively and now, here I was, talking about flours. With food people of whom my knowledge is comparatively at about .5%. I did feel an affection for my bin of refrigerated alternative flours in that moment. And I think it’s time I start branching out myself. It’s been a long time since I used red wine and mesquite flours, specifically. Just ordered them again. Expect recipes soon. Until then, here’s a Holiday in a Hand Pie. Special thanks to Allyson and Steve for getting me involved, NY Theatre Experiment for doing what they do so well, Kym at FreeSpiritEater for the awesome event photos (she took all the live ones and has an incredibly sweet, supportive, enthusiastic energy) and to the judges for being such rockstars. Quarter and remove pulp from a small pumpkin (mine was about a pound). Place in deep baking dish and pour on about 1/4 cup of maple syrup. Use a pastry brush to make sure it coats completely. 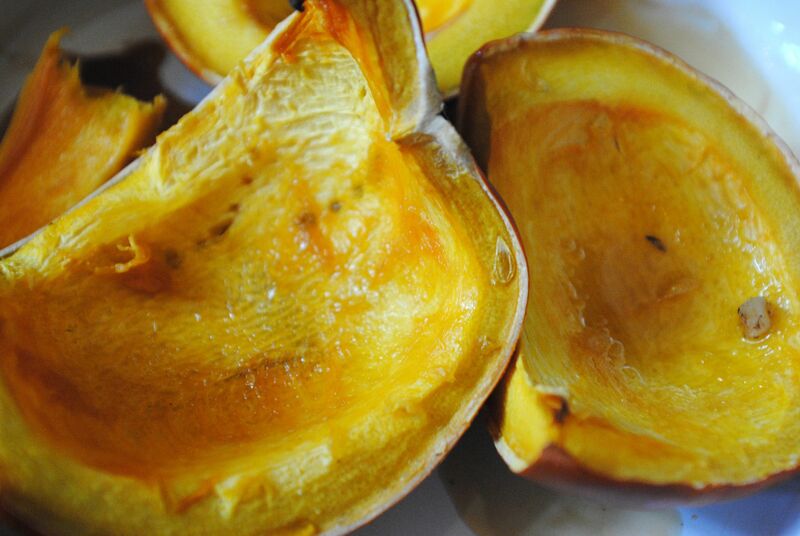 Bake for about 45 minutes uncovered or until the edges of the pumpkin start to brown. Allow to cool, then cut into 1/2 inch cubes. 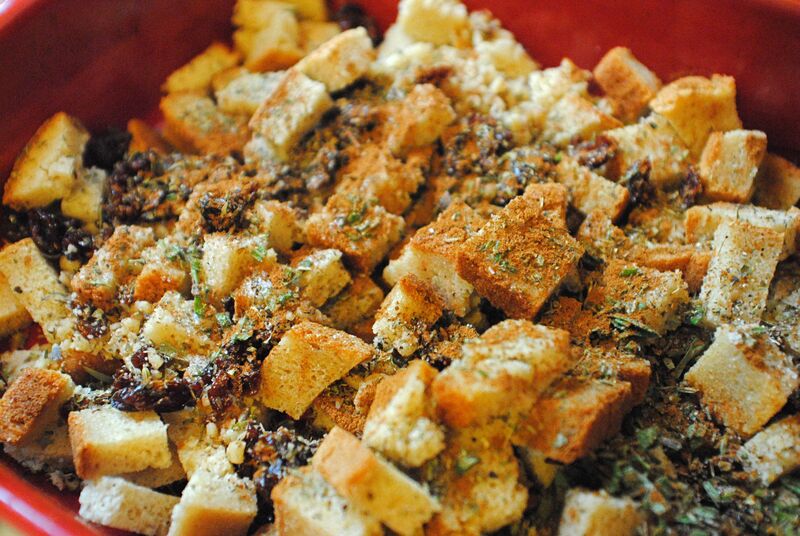 When I normally make stuffing for Thanksgiving I’ll toast up the bread all crusty-like, use my own stock, pile in butter and roasted vegetables and chestnuts and all. But this had to be rather simple and just serve its purpose. I left it a little drier than I would normally as well, so that it wouldn’t literally mush the pie when filled. In a dutch oven, bring a healthy swirl of olive oil up to a low heat. Add the leeks and let sweat until soft (keep it on low and wait it out – don’t brown them). Toss the dry ingredients together in a baking dish and stir in leeks. Add enough broth / stock to moisten the bread but not enough that it sits in the dish. Throw in the oven (uncovered) and bake alongside pumpkin until the bread is soft but slightly toasted at the edges. OK, I didn’t make cranberry sauce from scratch, as I couldn’t find cranberries in the shops I went to and wasn’t going to kill myself to find them. So I just doctored up some whole-berry cranberry sauce with the zest of one lemon, about 1 Tbsp of red wine vinegar and 2 Tbsp fresh lemon juice. Done. Instead of baking a whole darned turkey I used 2 large wings and 4 breast cutlets. I spread them out in my largest Creuset, melted about 2 Tbsp of unsalted butter, whipped in about 1 Tbsp of my awesome Greek olive oil (thanks to a friend who sends it over in 25 gallon jugs), and poured that on top. Then I stole about 1/4 cup of my roommates chilled Sancere white wine and threw that in too, along with kosher salt and cracked tricolore peppercorns. Baked at 300° for 35 minutes they were perfect. Juicy and slightly underdone to finish in the pie. I then used my fingers to shred them. Made me miss my grandmother, for some reason. 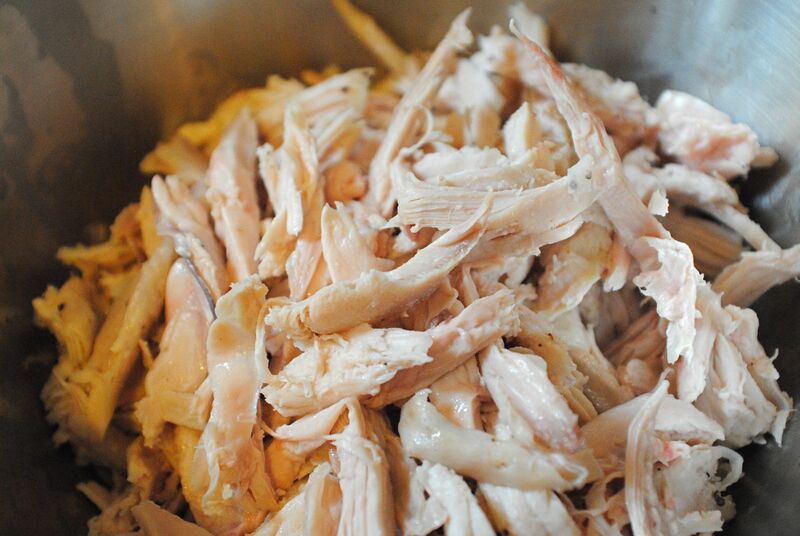 Maybe because one of my first, favorite, food memories of her is finding her in her garage, plucking chickens that she then baked to perfection. Love you Avo. *I love Vietnamese cinnamon because it’s sharper and more fragrant than others, with a darker tone. If you have a more generic grocery store cinnamon (which I have and use too), just add another half teaspoon or more to taste. In general, having several kinds of cinnamon on hand is fun. **Oh, and a jar of whole nutmegs will last forever and give you so much more pop if you grate it directly with a microplane than using pre-ground. Obviously all spices are better pre-ground. Little thing that makes a great difference. In a food processor, whip all flours, xanthan gum, salt, cinnamon, nutmeg and sugar together to combine. Add the cubed Earth Balance and pulse to combine until the butter is wrapped in flour in little pea-sized clumps. Slowly add the water, bit by bit, until the dough just comes together into a ball but is not wet. Roll out directly on a floured pastry board (I used millet to roll as it’s not as bitter as quinoa and less grainy than rice). This amount of dough made me 6 large hand-pies and one VERY large empanada. Because there’s no gluten you don’t have to worry about over-working, but you may want to pop it in the fridge between rolling / filling so that the earth balances doesn’t soften too completely. This dough doesn’t require rolling between wax paper yay). Roll dough out to about 1/8 thick. If using muffin tins to shape, find a good cereal bowl to press into the dough to create large round circles. Press into pans, making sure dough is pulled slightly away from the tins on top. Layer the four ingredients so that all quarters of the crust contain a little of everything, using the cranberry sauce throughout as a bit of a moist binder. Leave a bit of room- about 1/2 inch – at the top so that you can press the top layer in to seal. Use a 3″ cookie cutter to create a round for the top. Or just cut with a pastry knife. Whatever ya got. Press onto bottom filling and seal completely with fingers. Do not cut vents in the top crust – this pie needs the moisture to stay inside and help keep it steamy. Wash with egg, milk or water (I used egg whites) and sprinkle with cornmeal. If desired, use a cookie cutter or press to make a little decorative shape on top. I was going to press some leaves but time ran away with me and a tiny heart was all I had nearby. Bake at 400° for about 25 minutes or until the crust is brown slightly. If planning on eating hot, let cool in pans for about 7 minutes (yes 7) before popping out of the pan. I found a miniature frosting spatula very helpful. Serve with a little apple sauce if desired. Eat outside, preferably. With your hands. That pie looks awesome. After reading this, I can bet that your talent and creativity will take you far! Someone needs to pick up on this amazing talent of yours and invest in you ! One can certainly see why this did so well in the competition! 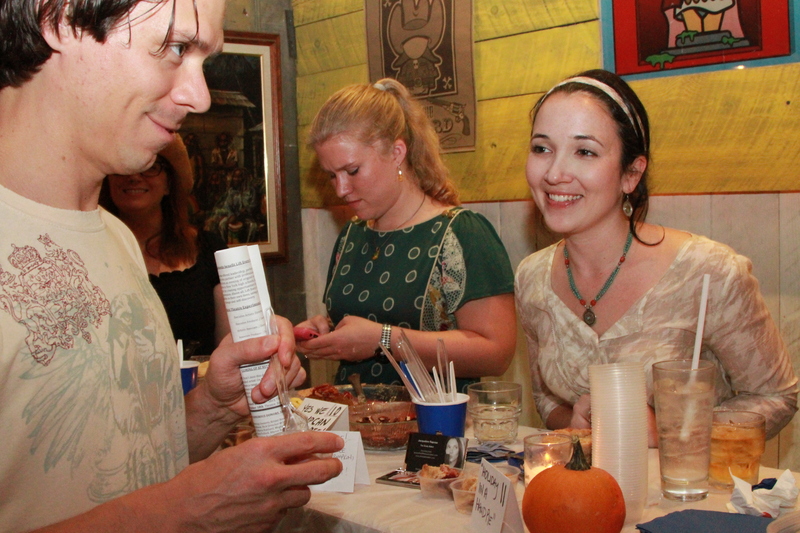 How deliciously inventive of you and the photos of you at the event….you certainly look like you are in your element. Congratulations. Jacqueline, you are rockin’ the holiday fare! These hand pies are spot on and have me anxiously thinking of the November feast. I’m not surprised you fared so well in the competition. Well deserved! Thanks Brooks! It was an unexpected treat, and such a lovely day overall! Your hand pies look amazingggg no wonder you got runner up andwinner of most creative!! Congrats! 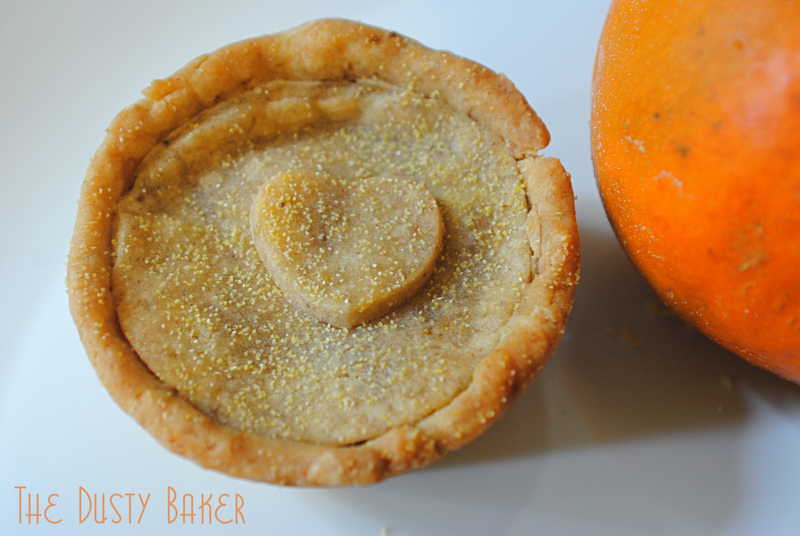 An awesome post, an awesome little pie and a terrific outcome for you too! Well done Jacqueline! Oh, and Goldilocksian is definitely a word. What a great story, and congratulations on the success of the event! I can’t do pie crust, but I’m going to see if my sister wants to try out this recipe for Thanksgiving weekend this year…. Congrats, again. Loved your pie concept & thought the “cupcake” presentation was stellar. Thanks, Joe. And congrats for winning with your RIDICULOUSLY AMAZING COCONUT PIE!!! Mad props go to you, sir. Congratulations! I really liked your pie and voted you for Most Creative…so glad you won!! Thank you so much, Debbie! It definitely has me contemplating more ways to think outside of the pie-box! Congrats on your success at the pie competition-well deserved. Your passion does show in all your creations. Bravo!